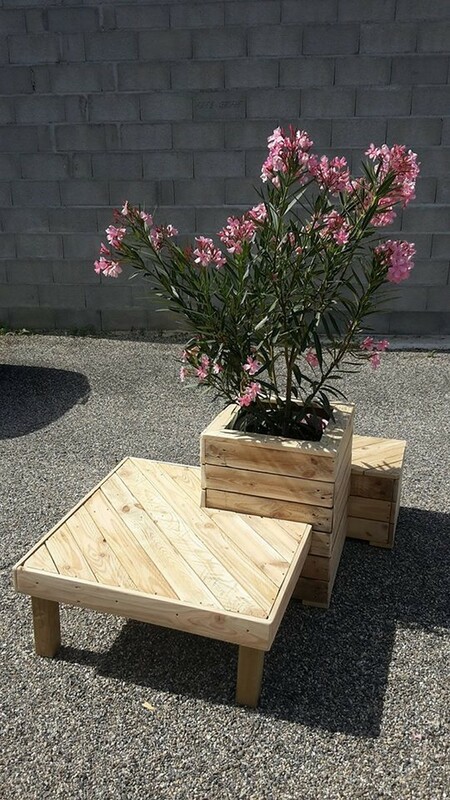 If we chalk out the main components of the wooden pallet recycling, I guess the creativity would rank on the top, because this is only the creativity and innovation that turns the ordinary things into some miraculous pallet wood creations. Without creativity simply there would have been no recycling stuff. 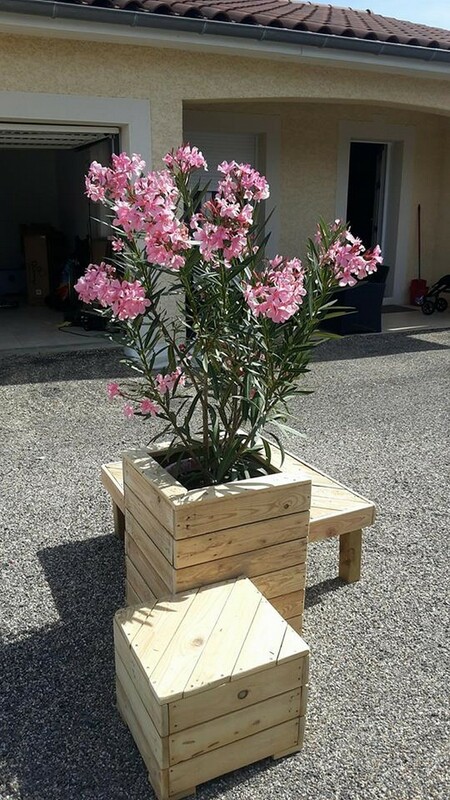 Although many of our ideas are utility oriented but we also focus on the element of creativity and the example of this is given in this pallet wood planter with attached seating. Well, this could sound a bit weird initially but I am sure you guys are going to love the plan once it is done. 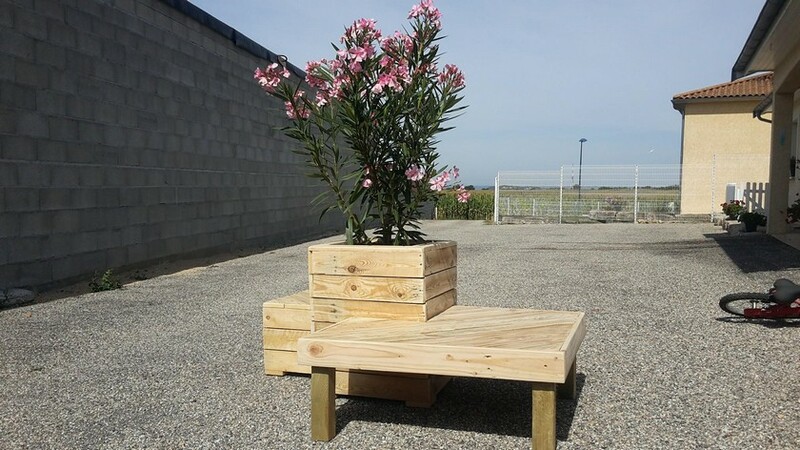 First of all let me isolate and discuss all the features of this combined wooden pallet creation. 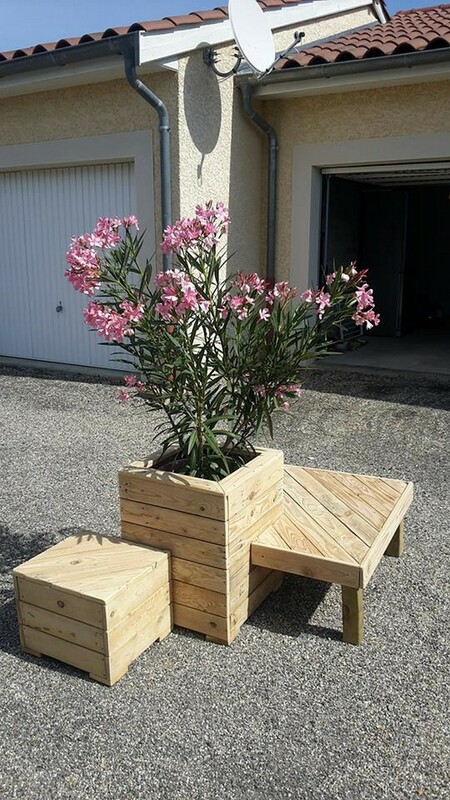 Well, there is a wide wood pallet made table, then there is a broad, wide and tall planter made with same timber, and on the extreme other end there is a tiny stool as well. As I said initially it might look a bit of craziness, but this is how things really work in the wood pallet repurposing. This combined wood pallet creation is useful in many ways that could be lined up according to your taste and priorities. One thing that is pretty clear here is that we have used the shipping pallets that are of very high and fine quality, that is why we didn’t bother to even stain or paint it. The very shade of wood has dominated here and made it worth noticing. The overall approach behind this creation is that you get a whole package of ease, comfort and some natural beauty all at one place. All three articles combined together have got the simplest possible shape yet they look pretty commendable when combined and joined together.